There are all kinds of interesting nooks and crannies on campus. 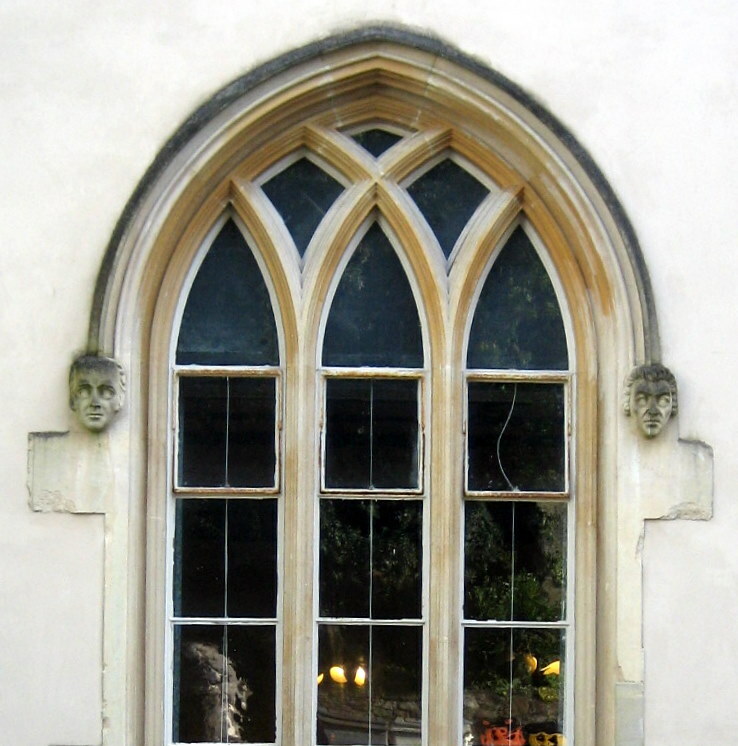 Here’s a mock gothic window in Singleton Abbey. I like the heads had the bas of the arches.